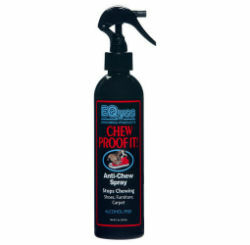 Pet > Cat > Behavior Modification > EQyss Chew Proof It! Protect your shoes, carpet, furniture, etc. and your pet’s teeth, gums, and digestive tract from the harmful effects of chewing!